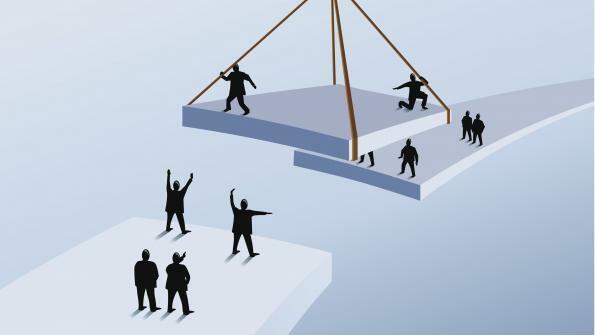 Part 2: Bridging the Disadvantage Chasm. In my last post I tried to illustrate the chasm that separates our most advantaged from our most disadvantaged students; students in the same community, side by side in the classroom, yet living worlds apart. Every day brings reminders of that chasm in one form or another. The question is – what can we do about it? The structural roots of inequality lie in the domain of economics and politics; it’s not realistic for schools to be tasked with tackling inequality at the source. Whilst schools have a role to play in the wider process of social change, the timescale is too great to have an impact on an individual child during the time they are at school. We have to work on the basis that the chasm of disadvantage is an embedded feature of our community and of an individual student’s life for the foreseeable future. Author Gary WalshPosted on Jul 5, 2016 Categories UncategorizedLeave a comment on Part 2: Bridging the Disadvantage Chasm. The disadvantage ‘gap’ is a chasm. Part 1. In the 18 months that I’ve been working at Highbury Grove, I’ve learned a great deal about the complexity of the community that my school serves. As the acting Designated Child Protection Officer for the last few weeks, I’ve learned even more. The scale on the axis of advantage and disadvantage is extraordinary with consequences for learning, aspirations and behaviour that are far-reaching. Within my school, there are students who, whilst sharing the same physical space, are living worlds apart. This is a two-part post. To begin with, here’s illustration of the opposite poles – rooted in reality but conflating different factors. Part 2 will look at solutions. Author Gary WalshPosted on Jul 5, 2016 Categories UncategorizedLeave a comment on The disadvantage ‘gap’ is a chasm. Part 1.